Philosophically, both Infrastructure as Code, Software Defined Data Center and Cloud Computing are bad. Infrastructure as Code (IAC) and Cloud Computing has relationship by origin and evolution. Goals of Infrastructure as Code and Software Defined Data Center (SDDC) includes reducing the economical burden & making the server management easy to anyone. 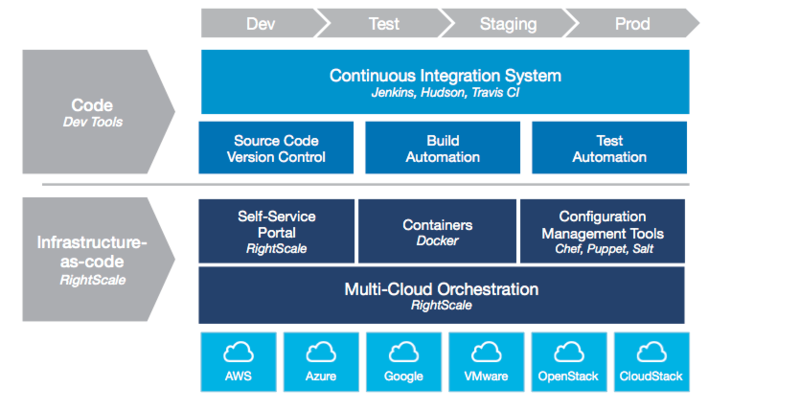 Infrastructure Automation is not synonymous with Infrastructure as Code (IaC). Software Defined Data Center technologies becoming the de-facto standard in public cloud provider data centers and built as Infrastructure as Code. Infrastructure as Code is not dependent on Software Defined Data Center. In the same way, Software Defined Data Center technically can run without Infrastructure as Code. But, in real practice Infrastructure as Code can not be separated from Software Defined Data Center as well as, anyone can use Infrastructure as Code exactly right now. Previously we discussed on how the SDDCs and differ from the rigid traditional enterprise data centers. Plus their ability to enable a private cloud environment is not negotiable. The economic side of SDDCs from the perspective of a public cloud provider is bright. Public cloud SDDCs follows the same principles like the private cloud counterpart. The data center subsystems including compute, storage and network are tightly integrated with a centralized management systems. For these reasons, we can see offers like $7/month 6 GB RAM server – which was impractical and funny to hear just 5 years back. Employing 3 persons with shift duty is enough to manage few thousand clients with unmanaged plan. Once deployed, virtual machines need not much care unlike few thousands of physical servers. There are two methods of deployment of Infrastructure as Code – Push and Pull. The main difference is the manner in which the servers are told how to be configured. In the Pull method the server to be configured will pull its configuration from the controlling server. In the Push method the controlling server pushes the configuration to the destination system. Ansible Tower uses Push, is Declarative & Imperative. CFEngine uses Pull, is Declarative. Chef uses Pull and is Imperative. Puppet uses Pull and is Declarative. Every developer or IT support person dreads a moment when they have to reconfigure the servers, because of the different aspects involved in the whole work, it is seemingly a tedious process. Tools like Vagrant, Ansible, Puppet, Docker makes the whole process easier. This is even made better by providing some RESTful APIs that can be integrated with control panel of the users. We by default do not use Ansible now, but suggest to type the commands. In future, the GNU/Linux distro compilation could be automated with custom packages before installing it. Yes, Ansible is easy but it is not so easy like Red Hat’s OpenShift’s control panel. This Article Has Been Shared 4255 Times! Cloud computing and Desktop Virtualization are coming more and more closer. In this article, the author has discussed about Cloud computing and Virtualization. Big Data will reach revenues of close to $34 billion of IT spending in 2013, this what Gartner is predicting. Analysis if of global market interested in cloud. What ERP Software as a Service has to offer? Enterprises are interested in the SaaS model of ERP but small and medium-sized should be calculative for ERP SaaS. Cite this article as: Abhishek Ghosh, "Infrastructure as Code and Software Defined Data Center," in The Customize Windows, May 18, 2016, April 21, 2019, https://thecustomizewindows.com/2016/05/infrastructure-as-code-and-software-defined-data-center/.